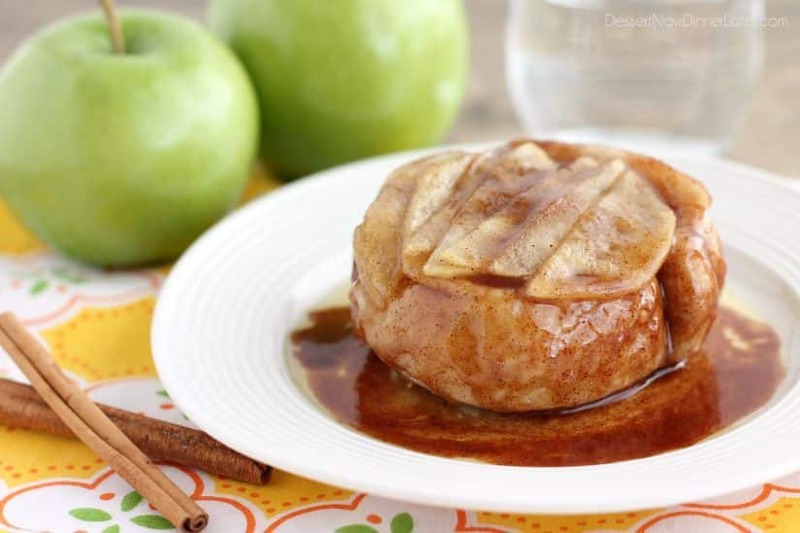 Upside-Down Apple Cinnamon Roll - Dessert Now, Dinner Later! 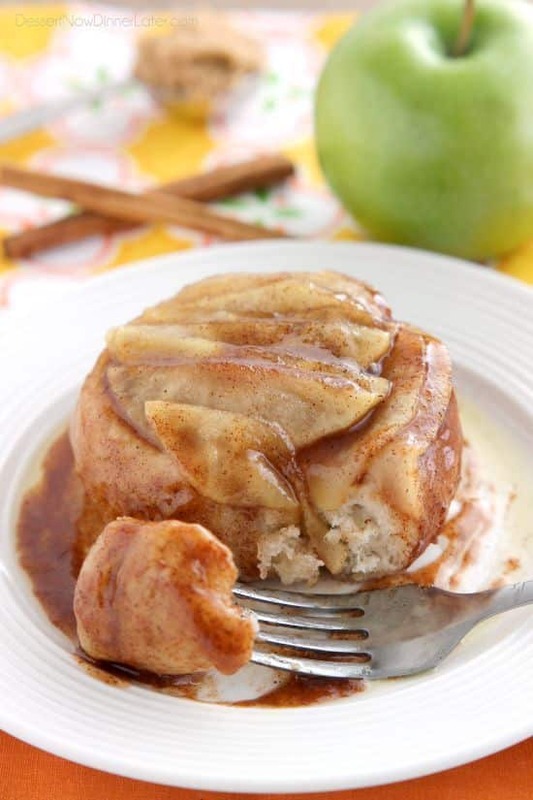 This single serving Upside-Down Apple Cinnamon Roll cooks in 2 minutes in the microwave! The perfect fall dessert for one! There are some days that I want dessert, without all the fuss and the mess. That’s when I think, “A single serving dessert would be great!” Then I can take care of my sweet tooth, without having a bunch leftover STARING at me the rest of the week, convincing me to indulge more than I should. We all know I don’t have the willpower to resist a delicious dessert! 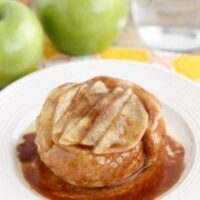 Luckily, I can make this upside-down apple cinnamon roll in the microwave, in one dish, in 2 minutes! Yes, I said TWO minutes! 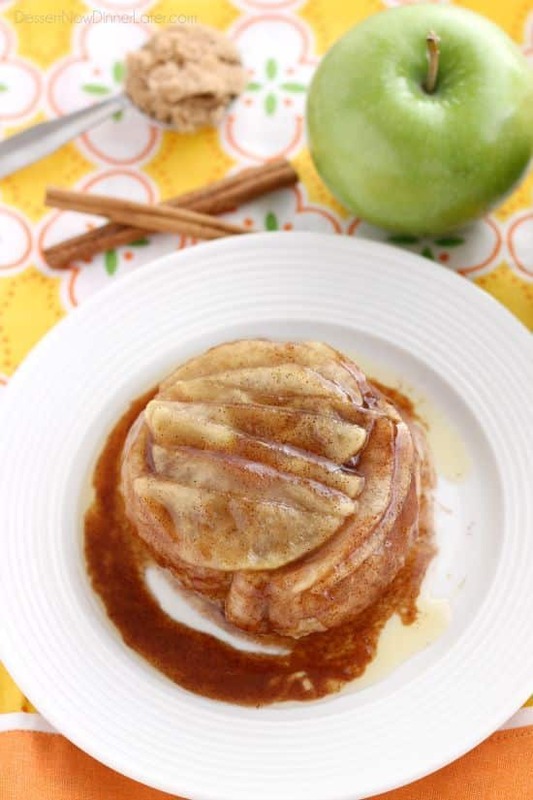 Two minutes is all it takes to get this ooey, gooey, apple dessert! It’s almost too good to be true, right? Well, it’s not! Rhodes Bake-N-Serv® has come out with a new product: Microwave Cinnamon Rolls. 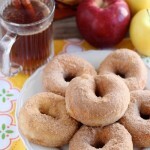 Technically, they only take 60 seconds when you make them all by themselves (the apple-cinnamon mixture adds one extra minute). There are six cinnamon rolls in a package, and there are even six individual cream cheese frosting packets, so you really can only make one at a time if you need/want to. Awesome! 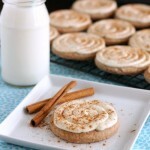 You will want to head to the Rhodes Kids Baking Blog to grab the recipe and how to. Yes, this recipe is easy enough for the kids to make, and they will love to make their own individual dessert! Place 1 Tablespoon of butter in a 3½ to 4-inch microwave-safe ramekin. Melt the butter in the microwave for 30 seconds, or until melted. To the melted butter, add 1 Tablespoon brown sugar, ¼ tsp cornstarch, ¼ tsp cinnamon, and ½ tsp lemon juice. Stir until combined. Peel an apple and slice it thin. 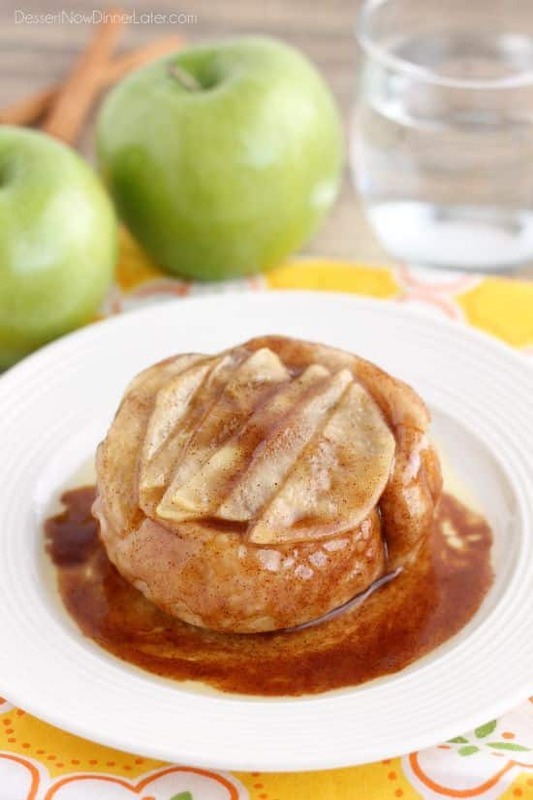 Use about ¼ to ½ of the apple slices to layer in the bottom of the ramekin with the cinnamon-sugar mixture. Place one of the Rhodes Microwave Cinnamon Rolls on top of the sliced apples. Cook in the microwave for approximately 2 minutes until the cinnamon roll puffs up and bakes completely. It should almost touch the sides of the dish. Using a hot pad, immediately remove the dish from the microwave and invert it onto a plate. Enjoy while warm! Optional: Drizzle one of the cream cheese frosting packets that come with the cinnamon rolls on top, for an extra sweet upside-down apple cinnamon roll. 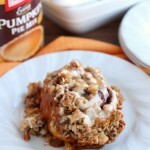 This is such a great idea for a cinnamon roll! I’m slowly getting excited for fall because I love apple desserts. Thanks Jen! 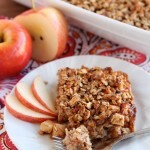 I love apple desserts too and the mornings are starting to get chilly here, so Fall is coming! What a great idea! These look incredible, Amber! Thanks Jessica! They were fun and easy to make! Alright, I was already in awe of the upside down apple part but it’s also single serving? Heck yes! That’s the best part! You can indulge in a dessert without being tempted to eat more than one serving!